White House tells court, "You are not the boss of me"
It can be breathtaking to watch the ultimate powers in America taunt each other like children in a schoolyard. Amid all the excitement over our brand-new President, there's an epic battle going on to preserve the history of our outgoing one. On Friday, United States Magistrate Judge John Facciola issued an emergency preservation order to the White House, demanding the Bush administration search computers for email records and turn over all email records and computer media to the National Archives. Late Friday night, the White House responded with what was essentially, "Nyah, nyah, nyah, you can't make me." As the Judge put it, the email records in question are "the most fundamental and useful contemporary records of the recent history of the President's office." One of the reasons we know quite a bit about the early years of America was because we have a priceless historical record, almost 50 years of correspondence between John Adams (our second President) and Thomas Jefferson (our third President). These letters, which have been in print continuously for more than 150 years, have helped us understand the thinking, the wisdom, the fears, and the insights of two men who formed the essence of America as we know it. Today's White House email is modern-day equivalent of the letter-writing correspondence of Adams' and Jefferson's time. Much has occurred during the Bush administration and, as we seek understanding and a true historical record, those email messages will provide a day-by-day record of how the Bush White House governed the country. They can provide a "fly-on-the-wall" perspective that might provide real insight into why we went to war in Iraq, how the President made decisions, how the White House may or may not have managed the financial predicament we're in, how issues were prioritized, if political considerations were involved in any decision-making, where the White House struggled over finding the right path, and so on. If we lose those email messages, we lose a priceless piece of American history. In a court filing fired back at Facciola's court, Assistant Attorney General Gregory G. Katsas claimed the Judge's emergency order is "outside of his [the Judge's] jurisdiction, the Order is clearly erroneous and contrary to the law and must be reversed." The White House's response is notable for how many different ways it refuses to comply with Facciola's order. In fact, you've got to wonder what it feels like to make it all the way up the career ladder to United States District Court Magistrate Judge, only to be told by the Executive Office of the President that, and I quote, "...there is no distinct entity known as the 'Executive Office of the President'." The White House is actually splitting hairs. 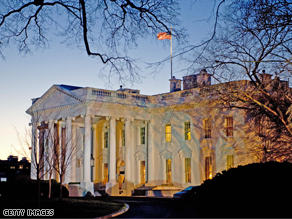 The emergency preservation order is directed to the Executive Office of the President (EOP), but what the White House claims is that there are various "components" of the Executive Office of the President: the White House Office, the Office of the Vice President, the National Security Council, the President's Foreign Intelligence Advisory Board, the Council of Economic Advisors, and the Office of Administration. The White House claims that because the Order named the Executive Office of the President as a defendent and not the individual elements of the Executive Office of the President, therefore, "The Magistrate Judge cannot here subject the non-party EOP PRA [Presidential Records Act] components to any court orders or bring them within his jurisdiction." This gets even more messy because the White House claims that the Presidential Records Act gives the White House "virtually complete control" over records and that "neither the Archivist, nor the Congress has the authority to veto the EOP PRA component's disposal decisions, nor may the courts." There was a court case about this during the first President Bush's administration, which stated that allowing this level of control assumed that Presidents would honor the statutory obligations to keep a complete record of their administrations. Clearly, the District Court disagrees with whether the White House is keeping a complete record. Compounding the White House's wholesale repudiation of the Judge's order were the statements "Including EOP PRA components within the scope of the Order is wholly improper..." and "the Archivist will not be receiving any records from the EOP...". The White House further states, "The Archivist cannot take responsibility for records over which she has no access or possessory rights." So, where have all the emails gone? The White House claims they recovered missing emails from backup tapes. Those recovered files "currently reside on a vendor's server at a secure OA [Office of Administration] location, which defendants are contractually obligated to return." Somehow, I think if the court orders it, the White House can buy the server from the unnamed vendor and turn it over to the National Archives. But the real issue is whether a proper transfer of White House records is being made to the National Archives. Clearly, the Magistrate Judge thinks more needs to be done and the White House disagrees. President Bush often talks about how history will judge his administration. In a 2003 speech to the United Nations, President Bush talked about earning the "favorable judgment of history." Unfortunately, without all the email records from his administration, Mr. Bush's true history may never get written. Stay tuned. We've got less than a day left to see how this phase of the story unfolds. The White House not wanting to turn these records over unfortunately remind me of the Nixon White House and its tapes – I wonder what this White House is trying to hide. With champagne on ice and roughly twenty-four more hours left in the most smug and painful eight year regime on record, it should come as no surprise that the White House is acting up. George W. Bush represents the connected rich kid who always complained about his allowance, never made his bed, ate with his elbows on the table, never put his napkin in his lap and always had his parents excuse his appalling behavior by simply stating "oh, that's just George." No more crying to daddy for George, Wall Street and Capitol Hill. Actually, none of the branches are "bosses"...that's the whole point of checks and balances. The Supreme Court has been ignored before....see Andrew Jackson in your history books. This is just ANOTHER example of our institutions having NO foresight. Everything this country does is a "knee jerk" reaction. The handling of e-mails, and preservation of them, should have been in place 5-10 years ago, when email become the predominant communication device. So, instead of planning, we get to argue over opposing parties demands and egos. Fail to plan, and prepare to fail. Still status quo here in America. I thought we had a government of checks and balances. Or is this a communist country? If the white house refuses to be governed by the courts, I refuse to be governed by the white house. I just want to know how would anyone know what emails were missing anyway? If the Bush team has full control over everything then they can delete emails and totally take info off of the computer and no one would even know that it existed. So this ruling by the judge really is pointless right now seeing that if there was anything that showed their wrong doing I assume that they have already totally gotten rid of any of that long ago.